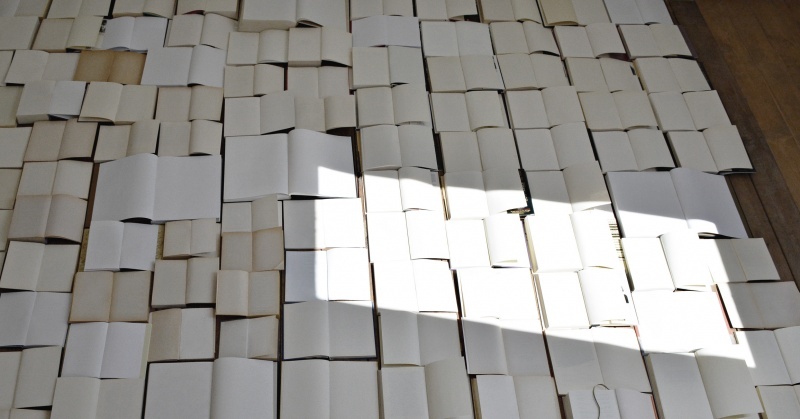 All books have at least one blank page. 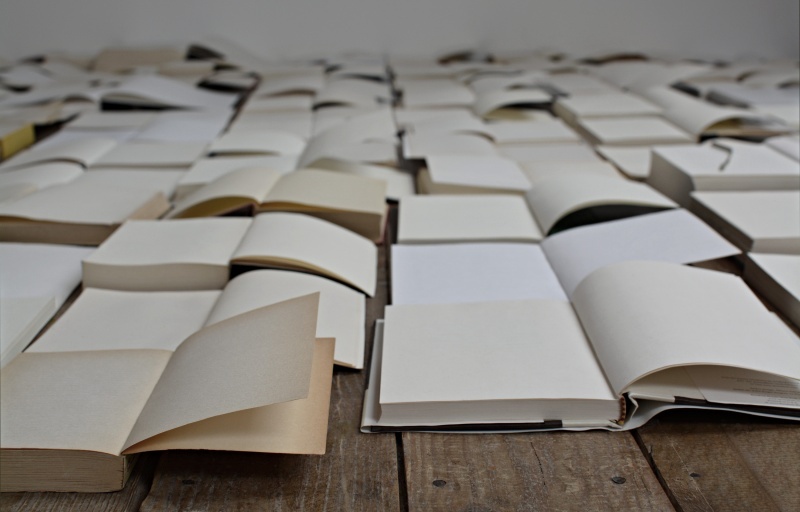 Most of them have two empty pages facing each other. 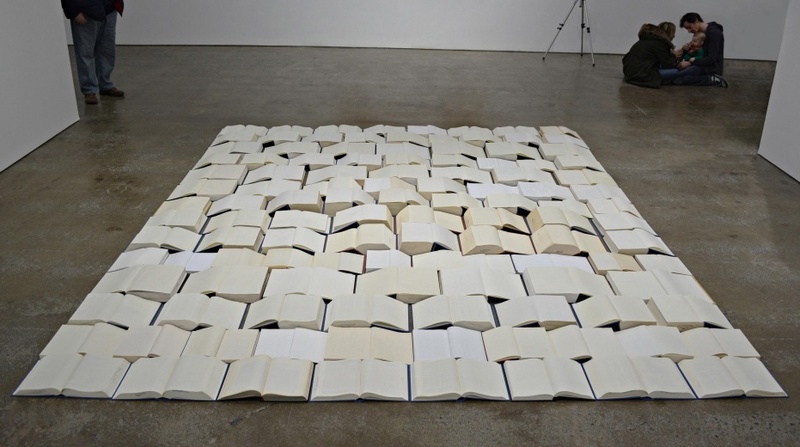 This is an arrangement of some 200 books from the artist’s library that are open to their blank spread. To see a different angle, click here.